If Oregon Ducks football recruiting was put on that rating website, hotornot.com, its average score would be well over nine. It’s not just West-Coasters that show tons of interest in Oregon. Athletes all over the country are eyeing the likelihood of playing for Coach Mark Helfrich. The 2015 recruiting class brought in some great talent. None of the film was any more enjoyable than Fotu Leiato. The special teams plays and huge hits to opponents were off the charts, nasty-good. With the addition of Leiato, competition levels could rise and develop more defensive headhunters. Mississippi native Knott has high interest in Oregon. Taking a peek at the potential of 2016 signees, it’s easy to get excited about more crazy-good, nose-for-the-ball-type players. The first that comes to mind is Nigel Knott out of Mississippi. His junior season highlights are riddled with terrific special teams plays and blocks that knock people to the turf. Like Leiato, Knott may seem a bit undersized but plays much larger than his stature. He goes up after passes with bursts of speed that make you wonder where he came from. He’s got that special knack for locating the ball in order to make technically sound tackles. You’re probably wondering, “How can Oregon get this kid out of the grasp of the SEC?” Fortunately, Knott’s father was coached under John Neal, who will be coaching the younger Knott as well if he chooses the Ducks over nearly all the SEC schools. After receiving the Oregon offer, Knott immediately put it in his top five choices. So, there’s hope for Ducks fans. 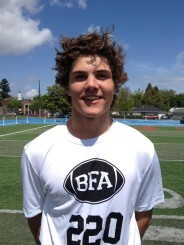 Brady Breeze is a solid Oregon commit for 2016. Another exciting film highlights the local product in Portland, Ore., who has already committed. 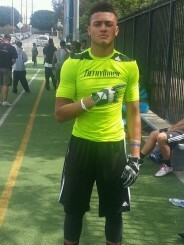 Brady Breeze has some great attributes as a safety. Breeze has solid tackling abilities and follows the ball from the offensive backfield very well and attacks quickly. It should be easy for Oregon to keep his commitment all the way through to the Letter of Intent arriving in Eugene. Watching film to seek out the next great talent is fun, but is not the only way to find out who may generate interest from Oregon. There are more and more high school football players stating that their dream offer is Oregon. An immediate commitment to the elite school is tempting to many, should they receive an offer. The sad part is the coaching staff may not even make that offer to some of those prospects, given the many athletes from which they can choose. A few names that have surfaced recently are Chase Lucas (running back from Arizona), Marco Wilson (2017 cornerback from Florida) and Noah Kramer (defensive tackle in Utah, originally from Oregon). 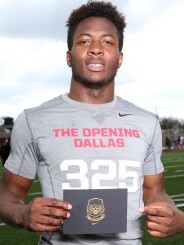 A young running back (class of 2018) in Texas now has his sights set on the Ducks, as well. Danny Lisenby tells me that his son, William Lisenby, has Oregon in his top three along with Ohio State and Baylor. Viewing Lisenby’s highlights will give you a sense of wonder as to how much better he could be in a couple more years. Jacob Capra is a 3-star offensive guard who visited the U of O campus on Wednesday, April 1, and left feeling good about his visit. Justin Hopkins at 247sports.com stated that Capra’s visit was nearly perfect, deciding to commit the very next day. Troy Warner, a 4-star cornerback, followed suit the day after Capra and pledged his talent to Oregon as the seventh recruit for the class of 2016.
Who else might be clearing their throats to announce their verbal commitments? A pair of 4-star cornerbacks who are high on Oregon’s wish list plan on making their commitments by July. Jared Mayden visited Eugene last week and plans to make his announcement at The Opening this summer. The other is Knott, who may choose the same path as Mayden with an announcement at The Opening. Breeze, Warner, Knott and Mayden? Any Ducks fan paying attention to this defensive backfield may be getting goose bumps thinking of how deep Oregon could become at this position group. 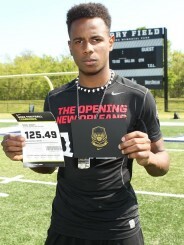 Jared Mayden visited Eugene this last week. On the offensive side of the ball, if the Ducks keep the verbal promises of quarterback Seth Green, tight end Cameron McCormick and wide receivers Dillon Mitchell and Theo Howard, the skill positions will have a solid foundation. To complete the roster of new offensive skill players, Oregon would like to bring in a running back to continue Coach Gary Campbell’s resume of amazing backs. Given the number of all-purpose backs in the 2015 class, Oregon will likely be looking for a larger power back who is effective in short yardage situations, and yet skilled enough to be a big-play threat. Elijah Holyfield may be just the fit Oregon is looking for. It’s not that Holyfield is the son of boxing legend, Evander Holyfield. It’s his big-play ability that sets him apart. He is legitimate. His physical size has potential to grow into a Royce Freeman type of RB. Watching Holyfield’s highlights, viewers can see a lot of power, speed and elusiveness with loose hips and smooth footwork leaving defenders wondering how they missed the tackle. Holyfield resides in Georgia and would be a difficult pull from SEC territory, especially Auburn; however, Oregon is listed in his top five schools. Holyfield has expressed interest in making Eugene one of the stops for his five official visits. Getting him on campus could help persuade him to make the cross-country leap. The newest commit, Warner, is a nice catch by the football staff. Having seven quality commitments this early in the class of 2016 is a great sign of top-notch recruiting for Oregon. For those who love stats and numbers, the commitment-to-offer percentage is roughly 10 percent currently. The Ducks don’t usually find themselves in such a solid position at this time of year. This is additional testimony in support of what Coach Helfrich is doing, and how he has proven himself to be the right man for the job. If you think the top 20 class was good for 2015, look out for what the future may bring. Get your sunglasses ready, because it’s going to get bright. 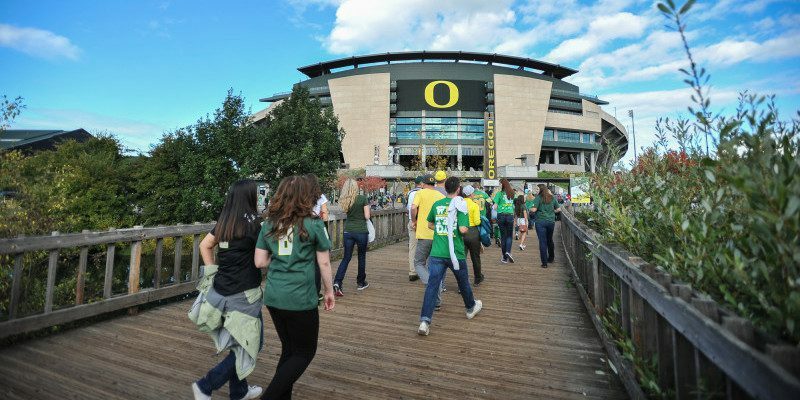 A huge thank you to Duck Territory on 247sports.com that graciously provides up-to-date information on Oregon recruiting for us at FishDuck.com.